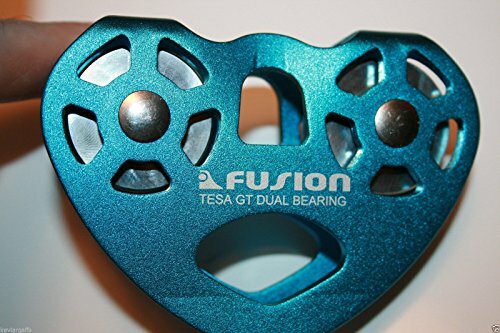 High quality Fusion Trolley pulley will take up to 3/8 inch - 13mm rope or smaller. Yes that means it will take 3/16 - 1/4 - 5/16 - 3/8 12mm steel cable. in will take 1/2 inch but only if you thread the end of the cable onto the trolley, i don't recommend that big. This is factory new. Breaking Strength 23kN or about 5200 Lbs.